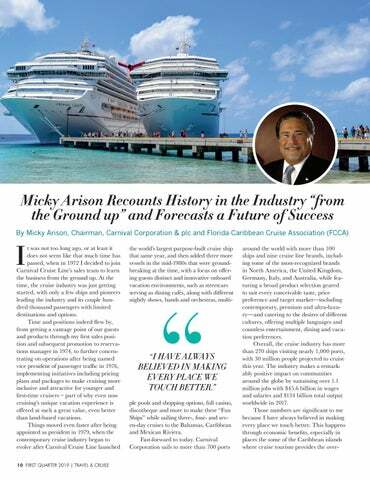 Carnival Cruise Line and Princess Cruises in the U.S. 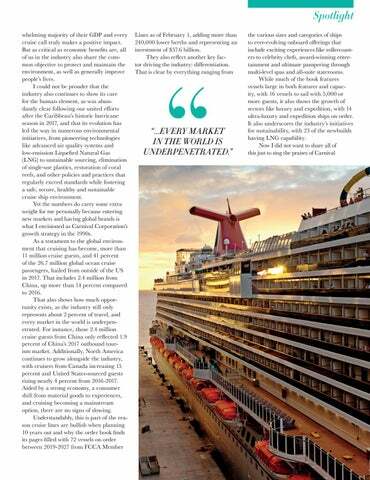 In total, Carnival Corporation has an additional 10 next-generation “green” cruise ships on order that will be powered by LNG in port and at sea, with expected delivery dates between 2019 and 2025, leading the cruise industry’s use of LNG to power cruise ships. 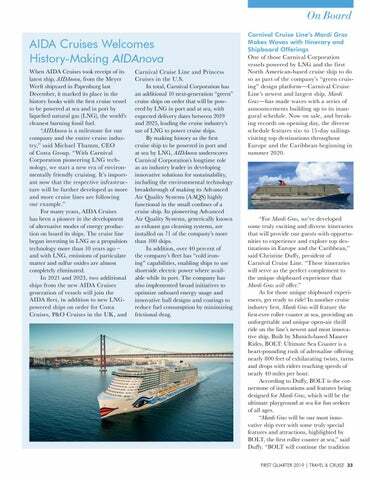 By making history as the first cruise ship to be powered in port and at sea by LNG, AIDAnova underscores Carnival Corporation’s longtime role as an industry leader in developing innovative solutions for sustainability, including the environmental technology breakthrough of making its Advanced Air Quality Systems (AAQS) highly functional in the small confines of a cruise ship. Its pioneering Advanced Air Quality Systems, generically known as exhaust gas cleaning systems, are installed on 71 of the company’s more than 100 ships. In addition, over 40 percent of the company’s fleet has “cold ironing” capabilities, enabling ships to use shoreside electric power where available while in port. The company has also implemented broad initiatives to optimize onboard energy usage and innovative hull designs and coatings to reduce fuel consumption by minimizing frictional drag. Carnival Cruise Line’s Mardi Gras Makes Waves with Itinerary and Shipboard Offerings One of those Carnival Corporation vessels powered by LNG and the first North American-based cruise ship to do so as part of the company’s “green cruising” design platform—Carnival Cruise Line’s newest and largest ship, Mardi Gras—has made waves with a series of announcements building up to its inaugural schedule. Now on sale, and breaking records on opening day, the diverse schedule features six- to 15-day sailings visiting top destinations throughout Europe and the Caribbean beginning in summer 2020.